Developer's Interview: Our Heroic Chat About Freedom Planet With Galaxy Trail Games! Hello! Thank you for joining us today for our interview! [GTG]: It's a pleasure to be here! Could you tell us about your development crew? [GTG]: Our team is mostly made up of voice actors, musicians and artists. Our main dev Stephen is the guy who puts everything together. 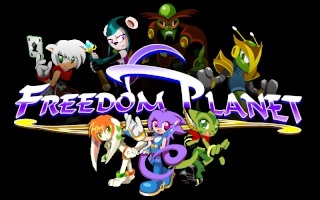 What games would you say were your inspiration for Freedom Planet? [GTG]: We treated Freedom Planet like a tribute to the Sega Genesis. A lot of people compare it to Sonic the Hedgehog because of the physics, but it's more combat-focused like what you'd find in a Rocket Knight or Mega Man game, and it's got huge bosses like Gunstar Heroes. Reviewers have even said that it's like what would happen if Treasure made a Sonic game instead of Sega. About how much content does Freedom Planet possess? [GTG]: There are 14 stages right now that take about 15 to 30 minutes to beat the first time. There's also three characters that play completely differently from each other, so when you keep that in mind, there's quite a lot of stuff - and more on the way! Will there be any exclusive features for the Wii U version of the game? [GTG]: We understand that not everyone can afford to buy more than one gaming system, so we're going to do the best we can to make sure that the game's content is the same across all consoles and platforms. [GTG]: The Classic Controller Pro will indeed be supported! What Controllers Will Be Supported on the Wii U? [GTG]: We're aiming to support the Gamepad, Wiimote, Wiimote+Nunchuk, Wiimote+Classic Controller Pro, and Wii U Pro Controller as well. Can you tell us more about the characters in the game? 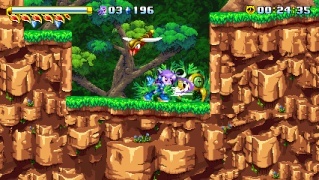 [GTG]: Freedom Planet takes place on Avalice where there's a lot of animal-like characters, including the three main heroines. 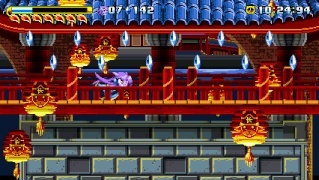 Lilac the Dragon Girl is a purple dragon who attacks foes with her air and can dash at high speeds. Carol the Wildcat is a green cat who can brawl with fast punches and kicks and summon a motorcycle. Milla the Hound Dog is a shy puppy who can throw item blocks and reflect attacks with a psychic shield. Could you share some details regarding the game's story? [GTG]: The story involves thwarting the vicious alien Lord Brevon before he steals Avalice's greatest treasure, the Kingdom Stone. Another alien named Torque tries to stop him but nearly dies in the process, so the three main girls offer to help him in his mission. It's mostly lighthearted, but there are a few intense moments that really put their resolve to the test. bit more about their purpose in the game? [GTG]: Technology on Avalice is similar to the 1980s, so that's why you see things like cars, trucks, trolleys and airships. If you're playing as Carol, she can summon her motorcycle by collecting gas cans in a stage, which gives her some cool new tricks. How much voice acting does Freedom Planet have? [GTG]: Quite a lot, actually! It's almost like a Saturday morning cartoon. People who play the game can choose between an Adventure mode with full voice acting and cutscenes between stages, or if they'd prefer a more retro experience without dialog, they can choose Classic mode to play just the stages. 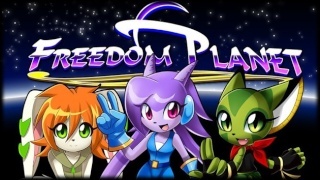 Do you plan on releasing sequels to Freedom Planet if sales are good enough? [GTG]: First we'll need to work on our upcoming expansion that adds two new male characters to the playable roster, with their own unique stages. After that, who knows! One things for sure - this won't be our last game. Can you tell us a bit about the music in the game? [GTG]: Our soundtrack was composed Leila Wilson, a.k.a. Woofle, with a bit of help from our creator Stephen. 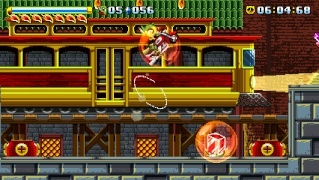 Woofle has composed music for a few Japanese indie games in the past, and she has a style of composing that's perfect for the type of game Freedom Planet is. Alright that's all for today, thank you for answering our questions! [GTG]: You're welcome! Thanks for taking the time to interview us! We hope that we'll have the opportunity to interview you again in the future! Are you looking forward to Freedom Planet's Wii U release? And what did you think of our interview with Galaxy Trail Games? Let us know in our comments below! Re: Developer's Interview: Our Heroic Chat About Freedom Planet With Galaxy Trail Games! The more that I hear about this game the more I want it lol. This is one of your best interviews yet @Rukiafan. Looks really good. Luke better then sonic good. Have yo keep an eye open for this when it comes out. Um...this game sounds so fun. When is the target window for the dlc? This game is looking incredible! I'm going to download this the second it's released. This game looks like it'll be as good as Shovel Knight and I look forward to this game's release! Good interview! This is definitely on my radar. Good interview. This seems like a solid title so far.